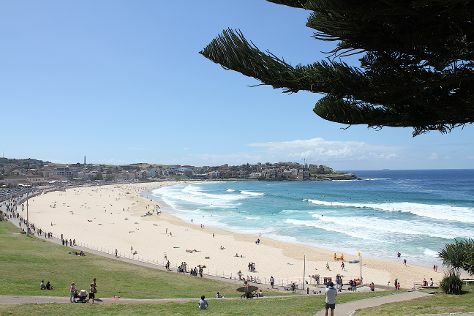 Get outdoors at Manly Beach and Bondi Beach. Explore Sydney's surroundings by going to Coachwood Glen Nature Trail (in Megalong Valley), Blue Mountains National Park (Lincoln's Rock & Pulpit Rock Lookout) and Logan Brae Orchard (in Blackheath). Spend the 5th (Fri) wandering through the wild on a nature and wildlife tour. Next up on the itinerary: wander the streets of The Rocks, look for all kinds of wild species at North Head Sanctuary, take in nature's colorful creations at Royal Botanic Garden Sydney, and get interesting insight from Tours. To find more things to do, reviews, traveler tips, and other tourist information, go to the Sydney trip maker website . New Delhi, India to Sydney is an approximately 15.5-hour flight. Due to the time zone difference, you'll lose 4 hours traveling from New Delhi to Sydney. Traveling from New Delhi in April, you will find days in Sydney are cooler (26°C), and nights are slightly colder (17°C). Cap off your sightseeing on the 9th (Tue) early enough to travel to Melbourne. Step out of the city life by going to Nature & Wildlife Tours and Koala Conservation Centre. When in Melbourne, make a side trip to see Phillip Island Wildlife Park in Cowes, approximately 1h 35 min away. The adventure continues: look for all kinds of wild species at Trin Warren Tam-boore, learn about all things military at Shrine of Remembrance, enjoy the sand and surf at St. Kilda Beach, and don't miss a visit to Block Arcade. To find other places to visit, ratings, maps, and tourist information, use the Melbourne trip itinerary app . You can fly from Sydney to Melbourne in 3.5 hours. Other options are to do a combination of flight and shuttle; or drive. Expect slightly colder temperatures when traveling from Sydney in April; daily highs in Melbourne reach 23°C and lows reach 11°C. Wrap up your sightseeing by early afternoon on the 13th (Sat) to allow time for travel back home.